Christmas is approaching, fast! It's just ten more days until the first Sunday in Advent, which is my own personal christmas deadline - that's when it starts! I decorate the house, I start cooking and baking, I wrap the gifts... and I spend a lot of time on the sofa, just enjoying the warm fuzzy christmas feelings. This is Tina. She's just as friendly as she looks. 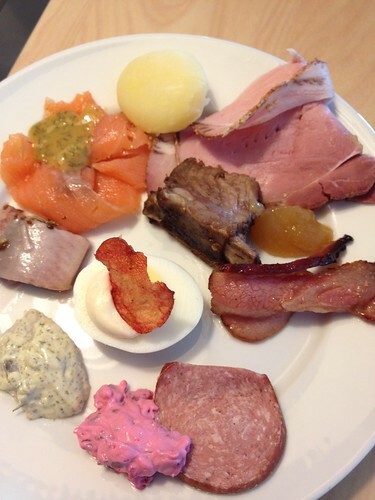 I ate my first christmas smorgasbord - julbord - yesterday. It was in a rather unexpected place: IKEA. 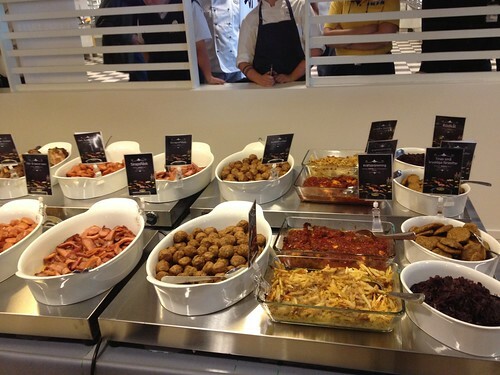 All IKEA:s, in Sweden, will serve julbord starting on Monday and going every day until christmas. They did it last year, and it was a huge success - they're already talking about it like it's a permanent tradition, and I hope it is. It's super affordable, and the food was really, really good. 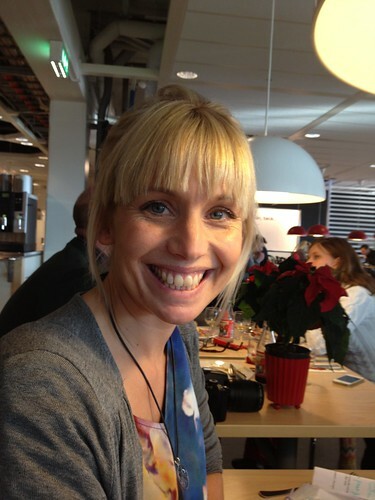 They used chef Tina Nordström this year (Leif Mannerström last year) and I really enjoyed meeting her at the press event. She's such a bubbly and fun person, and I've watched her on TV so many times... to tell you the truth, I felt a little starstruck! Putting the last touches on the food. The food itself was classic Swedish christmas food, but it all felt very fresh and not as heavy as it can sometimes be. Tina has cut out most of the mayonnaise-based sauces, and opted for lighter alternatives. My very favorite food on the table was called "sirapsfläsk", and it's basically smoked pork belly cooked in equal amounts of golden syrup and white wine vinegar. Incredibly yummy, I'll definitely try to make my own version of this! Don't miss the christmas ham, which is flavored with star anise - delicious! The sill with thai flavors was great as well, very lime-y. 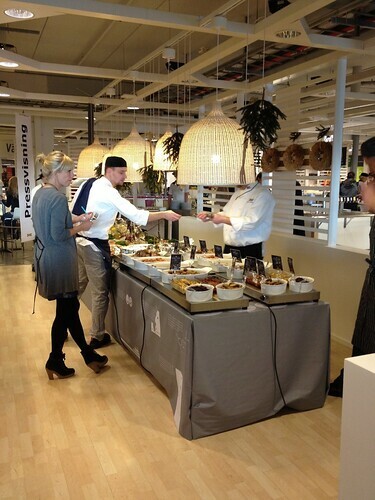 So, if you're in Sweden - IKEA:s julbord is highly recommended! It's served daily from 3 pm, starting on Monday. (So no lunch service.) It costs 99:- for IKEA Family members, and 199:- for those who aren't yet members. I just found your blog last week and I have to say I do enjoy it a lot! I am from Québec Canada and I am looking to learn more about your culture and food tradition (of course!)! Take care and thank you for all your lovely posts! Actually, it doesn't seem to be only at IKEA in Sweden. Looks like it is at least available in some stores in the US. 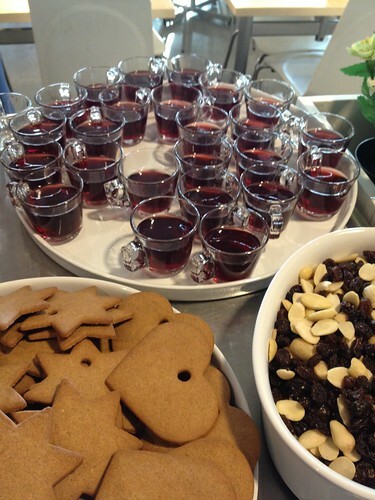 Ah, glad to see they're serving some kind of Julbord in the US stores! It won't be the same - Tina's been doing this just for Sweden as far as I know, but I'm sure it'll be a nice experience anyway! 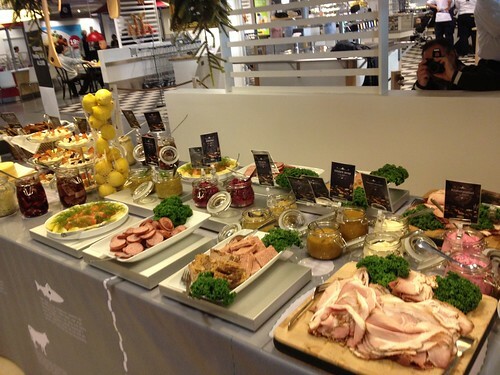 I was really curious about the Julbord at Ikea, with your praise I am going to give it a try! I just came across your blog and I'm just fascinated about the food! I don't know much about Swedish food. I'm from Vancouver, Canada, and currently living in Sydney, Australia. It's very nice to meet you!